Tooth decay ranks as the most common childhood disease and unfortunately, twenty percent of children never have their cavities treated. But with a good home care routine and regular dental visits, your child should be able to easily maintain a healthy smile. If you are looking for tips on how to prevent cavities in children, then read on for some of the best advice. A cavity is a name for a permanently damaged area in the hard surface of your tooth. They can develop into small holes or openings and they are caused by a variety of factors including the bacteria in your mouth, how often you snack, whether you drink sugary beverages, and how well you brush your teeth. Cavities are an incredibly common health problem that is concentrated in the children and teenage population, though anyone can get a cavity. If left untreated, they can expand and begin to affect deeper layers of your teeth. This expansion can lead to toothaches and infections, and in severe cases, tooth loss. That is why it is important that you teach your kids to maintain a healthy oral hygiene routine if you want to protect against cavities in children. Pediatric dental offices are designed to be a fun place to get your child excited about keeping their teeth in tip-top shape for the rest of their life. It should be an inviting environment where your child doesn’t mind coming for a visit. One key to making sure this visit is always a pleasant one is to start early. By choosing a home for your child’s dental care as early as their first birthday, you will help them establish a proper oral care routine which will in turn help prevent the formation of cavities. Practices like Lernor Family Dental work hard to create a safe and comfortable environment for your child to learn about their teeth and what they need to do to protect them. Just because you’re a toddler, doesn’t mean that you don’t need a proper oral care routine. By familiarizing your child with oral care from an early age, you help them establish habits that will benefit them their entire life. A good home routine consists of brushing twice a day and flossing at least once. The brushing should last for approximately two minutes. If your child has trouble knowing when to stop then you can try having them sing the ABS’s in their head. By the time they have finished, they will be done brushing. Another good tip for your home routine is to always brush in small circles. That way, you allow your toothbrush to loosen all of the plaque and debris between your teeth thoroughly. When you expose your teeth to sugar, your body responds by creating acid to break it down for approximately twenty minutes after you finish eating. This acid is responsible for cavities in children because it destroys tooth enamel. After a lifetime, too much exposure to acid can cause problems like gum disease and tooth loss. Try giving your child healthy snacks with protein and calcium instead of a sugary snack or beverage. This will help them develop a strong and healthy smile that lasts for their entire lifetime. Fluoride is known to strengthen tooth enamel which makes your teeth more resistant to decaying acids in your mouth. It is put into the community water supply to help serve this purpose. But if you are trying to prevent cavities in children, then you should consider getting them a fluoride treatment. Although there is some in the water, it isn’t enough to provide the maximum benefit for children. The use of fluoride treatments has recently come under fire by some dentists. Make sure that you check with yours to find out if they think a treatment might be right for your child. Also, make sure that you check with your insurance company before you agree to a treatment. Many of them only pay for the procedure for children up to a certain age, if at all. You don’t want to be surprised when you get the bill. One of the best ways to prevent cavities in children is to have their teeth sealed. Most children have deep grooves in their back teeth where plaque, food residue, and bacteria grow. This is where cavities may start to form if proper oral hygiene isn’t maintained. Unfortunately, many children have trouble remembering to brush their teeth twice a day and the life of a busy parent can make it difficult for you to always remind them. But there is some good news. Dentists are able to seal your child’s teeth with a clear barrier called a sealant. This layer helps to prevent tooth decay. They are recommended by the American Dental Association as an addition to traditional brushing and flossing. A sealant layer can last for several years before it would need to be replaced and can act as a safety net protecting your child’s smile. Baby bottles are a great comfort for most toddlers. But if you misuse them, it can lead to tooth decay and other oral illnesses. If you want to prevent cavities in children, you should never use a baby bottle for juice or other sugary beverages. They will decay your child’s teeth over time. Instead, replace their drinks with water. If your child is used to a lot of sugar, try switching over slowly by adding water to their existing juice product. You can gradually increase this amount until the entire bottle is water. If you want to prevent cavities in children, you have to teach them the right oral hygiene habits. One of the best ways to do that is by showing them how you take care of your own teeth. By taking the time to brush your teeth with your children, you will have the opportunity to monitor them to make sure they are brushing effectively, and also encourage accountability for your own oral hygiene. When your teeth are exposed to sugar, you give the bacteria living on them the fuel they need to survive and multiply. That is why it is so important that you avoid sugary beverages like sodas and juice if you are trying to prevent cavities in children. Try replacing these drinks with water or a more diluted version of the juice to optimize your child’s oral health. That way, they will always have a winning smile to take the perfect picture. Starchy food like potato chips can get easily stuck in the small areas between your teeth and cause bacteria to grow. If you don’t brush properly, then this starch can be used to feed the bacteria on your teeth, eventually leading to tooth decay. If you children eat starchy foods, then you should be sure to have them brush their teeth at some point within thirty minutes of finishing the meal. If you are at a restaurant, on a vacation, or otherwise out of the house, then they can swish their mouths with cool water to rinse away any debris from the starchy meal. Teeth are covered with a layer of enamel that acts as their first line of defense against plaque and other bacteria. It is important that you keep your child’s enamel strong if you want to prevent them from getting a cavity. Dairy products like milk are known to neutralize acids that could potentially eat away at your child’s teeth. They are also rich in casein which is a substance that aids your body in protecting your tooth enamel. Healthy dairy options for children (besides milk) include non-fat greek yogurt and most cheeses. These food choices are sure to boost their enamel strength. Consistency is key if you want to prevent cavities in children. Make sure that you stay on them to ensure that they are maintaining their dental care routine. If you aren’t able to brush with your child and you want to be sure they did, you can try checking their toothbrush to see if its wet. Catch your child in this lie enough times and they will realize that proper oral hygiene is their only option. Our mouths host a wide variety of bacteria that can be spread easily when you share food and beverages with someone else. Swapping this bacteria can be dangerous for your child’s oral health. Make sure that you tell your kids not to share food and beverages with others if they have already exposed it to their own mouth. 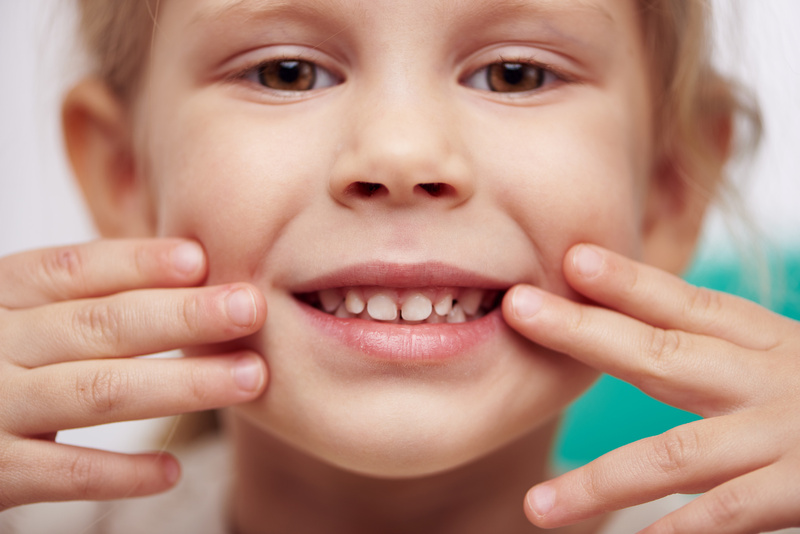 Cavities in children can be very detrimental to their health in the long run. But by using the tips that were mentioned in this article, you should be able to protect your kids and keep your dental bills down. If you are looking for more helpful life advice, check out our blog today.